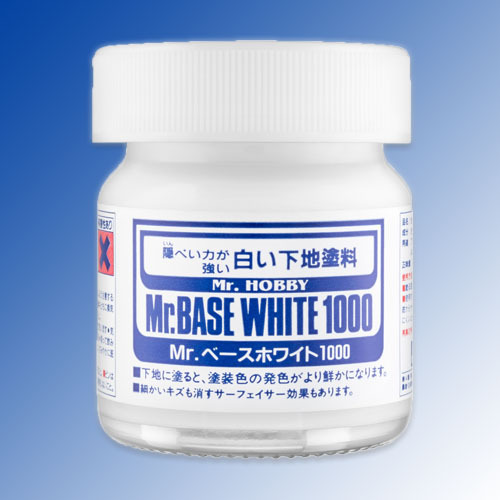 Mr Base White 1000 - white primer micro filler. Ideal as a base coat for lighter colours. Can be diluted with either Mr Thinner or Mr Levelling Thinner.